Well-established dating site featuring single women from Belarus, Russia, Moldova and the Ukraine. 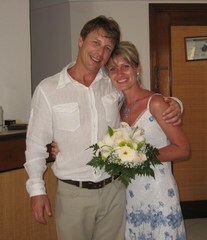 Quality matchmaking service helping men from Canada to find a beautiful Russian or Ukrainian bride. Dear Alain and Yuliya! As you are both very great for the work you do and the sacredness of love you have brought forth. May you both be blessed by God. You will always be in my prayers. And you must come and dance at our wedding in September!!! Vey, very sincerely a happy, thankful Conny! Our dating site features single Russian women who are genuinely looking for a good-hearted and serious man to share love and romance. With the help of our quality matchmaking service, we help men from Canada and all over the world who are looking for a beautiful bride from Belarus, Moldova, Russia or the Ukraine. In today’s face paced world, it becomes more and more difficult to find a life partner when simply relying on faith. Meeting our future wife at the supermarket can still happens but generally, it leaves us single. Often, our first reflex it to try local dating sites. It may work and if it does: super. However, in many cases, months and years go by and we remain single. Many reasons can explain the lack of success and we each have our own reasons but in the end, it generally remains very difficult to find a life partner who shares our views of the couple and family life. With the help of international dating sites and matchmaking services, single men and single women from all over the world can find each other. 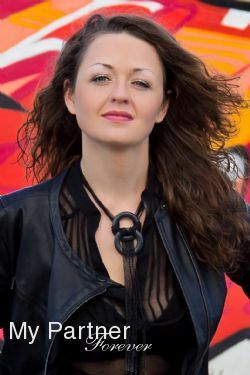 While single men from countries of the west have difficulty to find a woman who shares their traditional family values, single women from many countries of Eastern Europe such as Belarus, Moldova, Russia and the Ukraine, are in a similar situation: they cannot find a life partner who shares their dream to create a family. Our dating site and matchmaking service gives a true opportunity to any good-hearted and serious man to meet single Russian women and to find his beautiful Russian bride. Having partnered with honest and reliable marriage agencies throughout Belarus, Moldova, Russia and the Ukraine, we offer a quality and efficient matchmaking service. Each single Russian woman who have registered with her local marriage agency bears the icon “Verified Profile” that means not only she was met in person, but that she validated her identity with passport and that she was interviewed by our experienced marriage agency owner or staff. Not every Russian woman has a computer and Internet at home and if they do, the connection can be a modem one and expensive – that may out of budget for a single woman. Although English may have been their second language at school, if not practiced, it was lost for the most part of it. 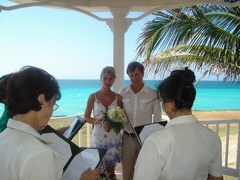 Their marriage agency owner and staff help them with the translation of letters and conversations. Many single women, regardless of their nationality, are afraid to openly post their profile and personal data on the web. The web is not such a safe place and it can be risky for a single woman to open herself to virtual correspondents. For those who post their profiles on such sites, it can quickly become quite impossible to manage since they may get hundreds, if not thousands, of messages in a rather short time, especially if they are good looking. Their marriage agency offers them all the services so they can easily and safely get in touch with single men from different countries and eventually, find their life partner. At the same time, the agencies offer single men a great and true opportunity to meet single Russian women who were met in person, something that regular dating sites don’t do. Since, unfortunately, the web is loaded with scammers and that meeting a woman in Russia is not exactly like meeting a woman in our own city, the presence and the role of the local marriage agency is the best tool any serious man can use to find his charming Russian bride. I cannot speak about all Russian women, since I married one only and she is my only one; but by my experience, by the varied testimonials of our clients and those found on the web and by my personal understanding of the Russian culture, I can say without a doubt that the rewards of being married to a Russian woman overwhelmingly exceed the challenges of the process. The challenges are mainly the language barrier (if any), the culture and traditions differences (for sure) and the financial requirements. Since communication is a key element in the development and maintenance of any relationship, it can be quite a challenge to overcome if your future Russian wife does not speak English. However, most Russian women have learned it at school and with patience, understanding, love and the help of a tutor, they can learn English faster than you can imagine. My wife spoke very little English when we met and her teenage daughter did not know any English. After living with me for 3 months in Canada, they both were quite functional in English, I would say at a level of 6-7 out of 10. After 6 months, they were both very functional with a level of approx. 8 out of 10. That being said, the challenge remains as when the beginning of the relationship occurs, your Russian lady is still in Russia and, if she does not know English or knows very little, it can get quite confusing and frustrating to not be able to communicate openly as we are used to do in our daily lives. This is an area where her local marriage agency and their professional interpreters can become very handy. If you are thinking about using software and programs to translate; my advice is to avoid this. The reason: the technology simply is not there yet. Programs can translate some simply phrases with accuracy but not the kind of letters a man and woman exchange when developing a relationship. Given that you have not met in person yet and that you still know very little about each other, any mistake from the program such as translating your words in a completely different meaning could be disastrous. Again, my advice is to stay away from online translators and use the services of professional interpreters, at least until you have met in person and have developed some chemistry. At this point, yes, online translators can be used since you are not corresponding with a stranger anymore and misunderstanding can be discussed and cleared. The culture and traditions differences is another challenge that is not to be overlooked. Although, it depends mainly on what are your own culture and traditions and mostly, on how open minded you are to learn and adapt to other cultures and traditions. Of course, it is the same for your future Russian bride and moreover, she will be the one moving to your country. But, remember that you may bring your Russian woman out of Russia but you will never bring Russia out of her – and that is the beauty of it. My advice is the same as for the language barrier, and all aspects of the relationship for this matter: be patient, understanding, loving and everything becomes possible. About the financial challenge, I think it is pretty easy to understand. After all, you are not dating a girl from your neighbourhood; she is in Russia. To summarize: it can cost a few hundred to several hundred for the finding each other and getting to know each other per letters, telephone conversations, Skype meetings etc. and believe me, it is well worth it to use the services of her local agency. This way, when you get to the next step of visiting her, which will cost a lot more, you can be assured that she will show up at the meeting – something that regular dating sites cannot control, given that they don’t know the ladies. So, as mentioned, the traveling is the next step. Of course, the cost will vary depending on how far you live from Russia but in most cases, it involves airfare, accommodation and other normal traveling expenses. Your first meeting was great? Super. Of course, you did not ask her to marry you on the first meeting (even if this first meeting lasted a week) – well, it is my advice. So, you go back home and keep in touch by emails, telephone, Skype etc. and the relationship keeps going in the right direction. My advice: don’t let too much time go by and plan to meet again – remember the old saying “far from the eyes, far from the heart”. And, after all, both of you are looking for a life partner and it looks as you both found the ideal person – why delay the next meeting? What to do on the next meeting? Whether you visit her in her hometown or meet somewhere for a short vacation: if the feelings keep growing and the relationship keeps going in the right direction: the moment has probably come to ask her to marry you. She should say yes, well I hope so for you. Note that depending on your own country, you may able to invite her to visit you for a few months as a friend or a fiancé – which is a great opportunity to be considered. The wedding can take place in any country that can produce a certificate of wedding that will be recognized by your government. My advice: if she is visiting you as a friend or Fiancé and that she does not have to go home for her children or other serious reasons, marry her in your own country before her visiting visa expires. Otherwise, marry her in her hometown – it will be a great occasion to get to know her family and friends. Next step: the immigration and permanent residence application and process. Again, some expenses, more or less, depending of your own country’s regulations. The total: depending on many factors but for sure, more than finding someone locally but in my case: by far, the best investment I made in my life. In case you’re still wondering if you really can develop a deep, meaningful and loving relationship with a Russian woman you’ve met on an international dating site, let me assure you that you can! ... We, Alain and Yuliya, are the living proof! Living alone, part-time with my son, for a few years, I (Alain, the owner of this site) was getting more than ready to find a woman to share my life with. Fait (meeting her at the supermarket) did not bring any results. I signed-up with a few local dating sites and that gave me some hope and kept me busy for some time. Many letters, many phone calls, many meetings but in the end: there was always something wrong with me: too short, too much hair, not enough hair, too far from where they lived, too close from where they lived …whatever the reason, none of the 20-30 ladies I met wanted to see me again. A bit hard on the ego as well, I must admit. During a summertime vacation on the North Carolina shores, I happened to meet a couple that was formed by a US man and a Russian woman. We became close enough and they shared their story with me. I was fascinated to learn that they met through an international dating site and that after some months of correspondence, he went to meet her in Russia. At first, I thought to myself that someone has to be a little crazy to jump in a plane to go meet a girl in Russia but the more I knew them, the more I thought it was not such a bad idea. Not only this girl was absolutely beautiful looking; the perfect blonde with blue eyes, not fat, not skinny – she had the greatest smile, she know how to listen and how to express herself very well (a very interesting person to talk to), she seemed very bright, family oriented, she was calm …the kind of woman I wish I could have by my side for the rest of my life. Upon returning from my vacation, I wasted no time and began exploring the world of international dating sites and Russian brides. I was amazed to see the number of sites offering this kind of service. And, I was also frightened to read all the articles about dating scammers, agency scams etc. Thoughts like “what if I fly there and she does not show up? Or what if she is a scammer and only wants money?.”. Also, there were lots of positive testimonials of men who traveled to Russia and were happy with their trips, whether they had found their princess or not – meaning that despite the scammers, there was a true opportunity to find a life partner in Russia. For the next week, I spent my evenings studying the different dating sites and evaluating their matchmaking services. I signed-up with one and introduced myself to several single Russian women. During the following weeks, I narrowed down on a few ladies and corresponded exclusively with them. To make a long story short, within a few months, I flew to Belarus and met my future wife. Within a few months, we married and a few months later, she and her daughter moved in with me in Canada. At the moment I write this, we have been together for near 5 years and we are very, very happy to have found each other. 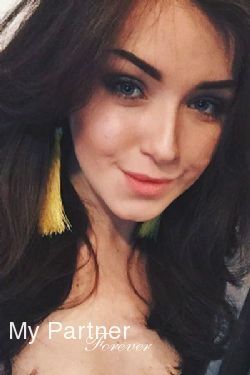 Our international dating site helps men from all over the world to get in touch with single Russian and single Ukrainian women who are looking for a life partner from outside their own country. Being outnumbered by approximately 10 women, there is an obvious lack of available men in Russia, the Ukraine and other former USSR countries. Although Russian women are generally well-educated and have the tools and ambition to develop their own career, the main difference with women form the west is that they are generally family oriented and have kept these old traditional values that kept couples together for a lifetime. Russian women look for a strong man who will protect them and be the leader of the family. That does not mean strong physically but rather a decent, caring and loyal man. Each year, with the help of international dating sites and matchmaking services, thousands of men from all over the world find their beautiful Russian bride. Some of the characteristics that make Russian women so popular are that they are generally slim and very attractive and mostly, that they still believe in the traditional family values – meaning: find a husband, create a family and keep the relationship as the top priority. This is exactly what many men from the west have a great difficulty to find in their countries. Why not introduce yourself to a Russian girl and who knows, it may be the first step at finding your beautiful Russian wife!